The abstract design refers to a nonobjective combination of colors that cannot be described any other way. Take a look at abstract area rug patterns from brands such as Karastan, Mohawk, and Nourison. The animal print design refers to a fashion style in which the garment is made to resemble the pattern of the skin and fur of an animal. 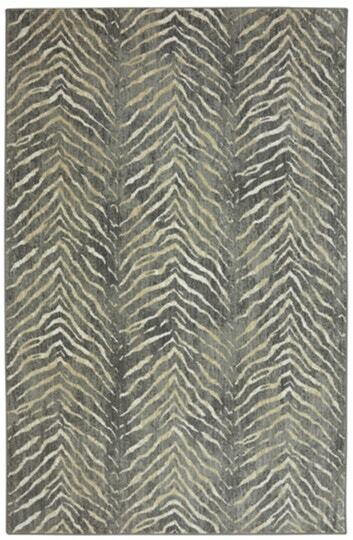 Take a look at animal print area rug patterns from brands such as Karastan. The border design refers to the inclusion of an outer line or pattern to give the appearance of a border surrounding the rug. 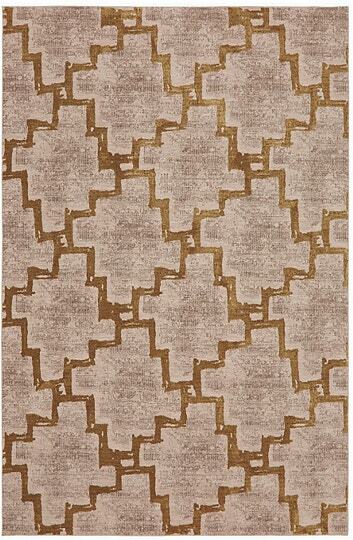 Take a look at border area rug patterns from brands such as Liora Manné and Nourison. The botanical design refers to images that botanically accurate in terms of scale, form, structure and color and may include the portrayal of habitat. 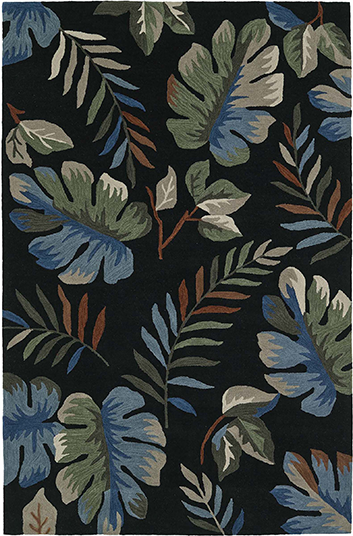 Take a look at botanical area rug patterns from brands such as Nourison. The chevron design refers to a canvas with a V-shaped mark that stretches across the length of the rug. 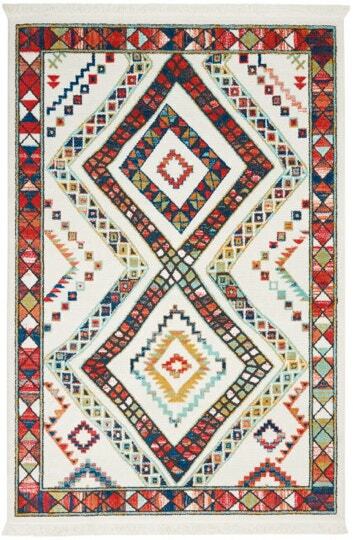 Take a look at chevron area rug patterns from brands such as Nourison and Oriental Weavers. The coastal design refers to the colors and visual representations of weathered furniture found in traditional coastal homes. 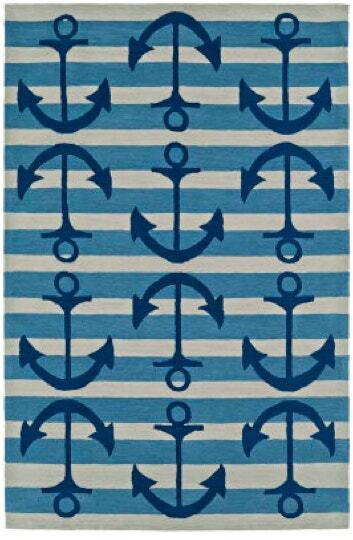 Take a look at coastal area rug patterns from brands such as Liora Manné and Oriental Weavers. The abstract design refers to a type of fabric used in the mid-14th century which were laid out as elaborately scrolled motifs arranged in a lozenged grid. 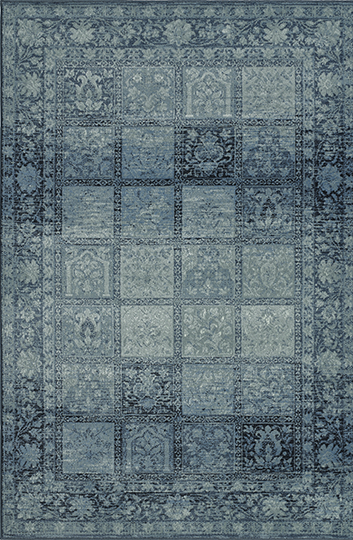 Take a look at damask area rug patterns from brands such as Dalyn and Liora Manné. 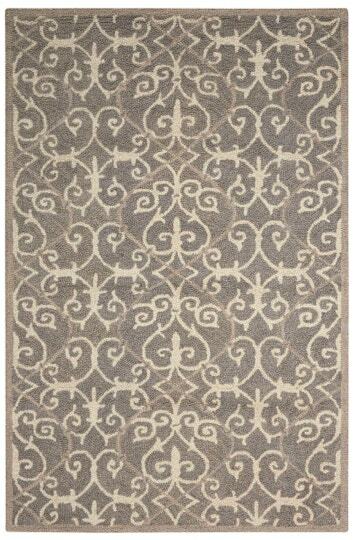 The distressed design refers to creating a weathered look of a rug surface to give the appearance of wear and tear. Take a look at distressed area rug patterns from brands such as Dalyn, Karastan, and Oriental Weavers. The floral design refers to using plant and flower shapes to create a pleasing and balanced composition on a rug, regardless of botanical accuracy. 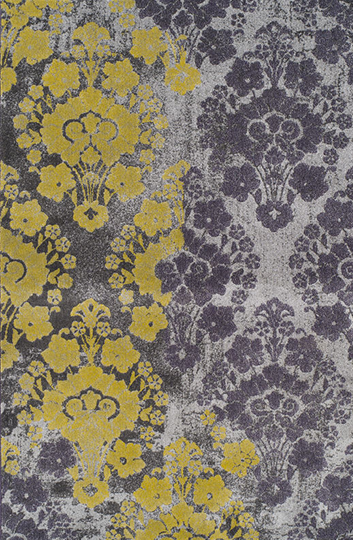 Take a look at botanical area rug patterns from brands such as Karastan, Mohawk, and Nourison. The geometric design refers to a motif depicting a combination of abstract shapes like lines, circles, ellipses, triangles, rectangles, and polygons. 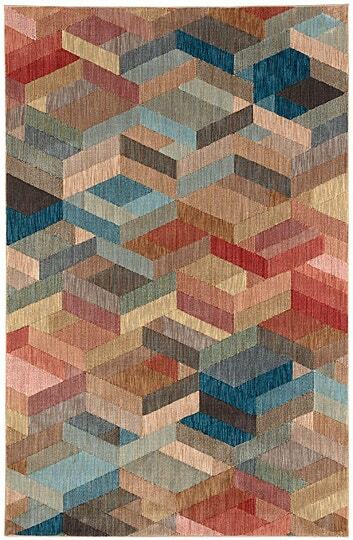 Take a look at geometric area rug patterns from brands such as Karastan and Mohawk. The graphic design refers to a pattern that appears as if it could be printed or presents a bold look. 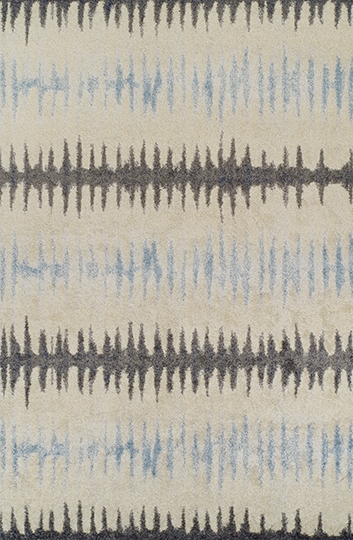 Take a look at graphic area rug patterns from brands such as Liora Manné and Mohawk. The holiday design refers to a variety of novelty ideas related to the holiday seasons that have been placed on the surface of a rug. 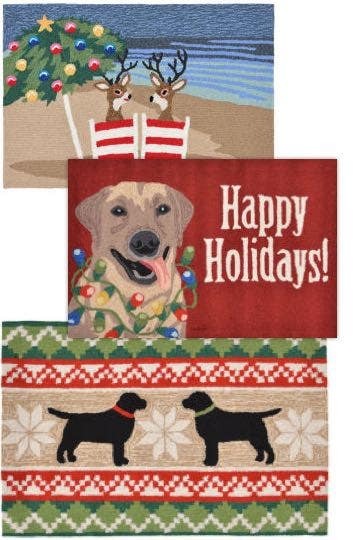 Take a look at holiday area rug patterns from brands such as Milliken. The home design refers to an appealing aesthetic that exhibits a welcoming message for visitors who see the rug. 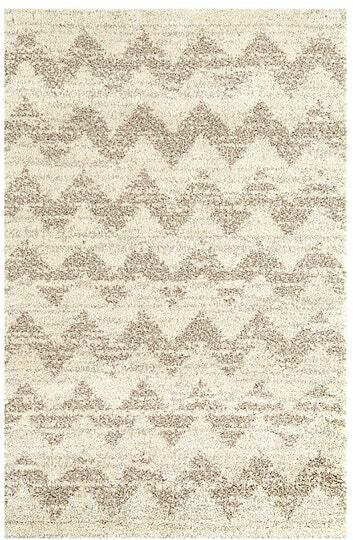 Take a look at home area rug patterns from brands such as Liora Manné, Mohawk, and Nourison. The ikat design refers to a dyeing technique used to pattern textiles with resist dyeing on yarns prior to dyeing and weaving fabric. 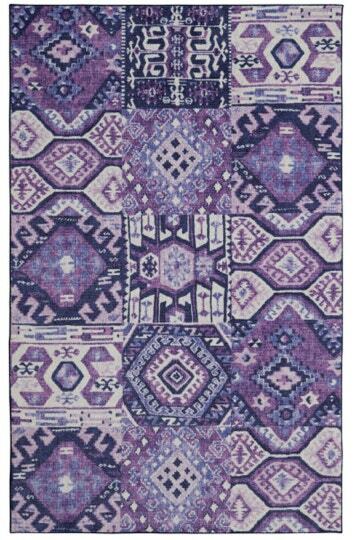 Take a look at ikat area rug patterns from brands such as Dalyn, Nourison, and Oriental Weavers. The lattice design refers to an arrangement in space of isolated lattice points in a regular pattern, typically resembling a net. 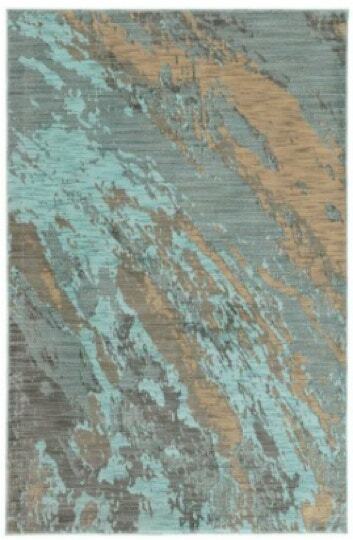 Take a look at abstract area rug patterns from brands such as Mohawk and Nourison. The medallion design refers to a central medallion shape surrounded by smaller medallions or same sized repeated medallions. 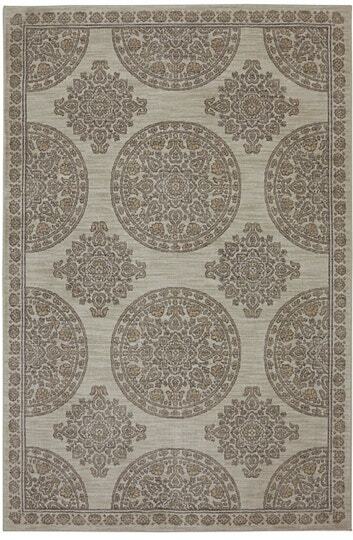 Take a look at medallion area rug patterns from brands such as Nourison and Oriental Weavers. The nature design refers to scenery depicting what would take place in nature with realistically earthy undertones. 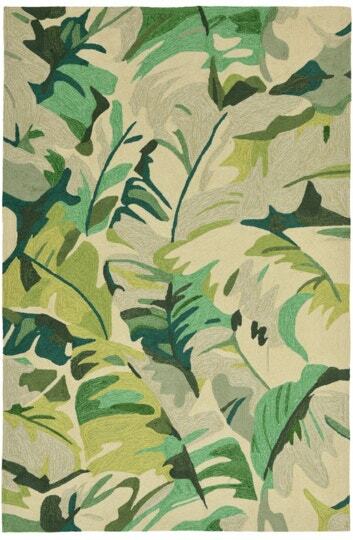 Take a look at nature area rug patterns from brands such as United Weavers. The nautical design refers to an oceanic atmosphere by using decorative elements such as starfish, stripes, anchors, and nautical stars. 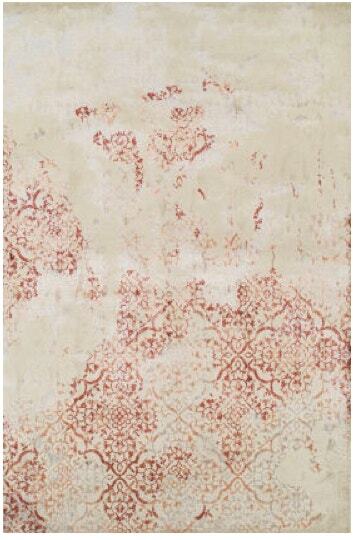 Take a look at abstract area rug patterns from brands such as Liora Manné. The novelty design refers a look that serves no practical purpose and is created for its uniqueness, humor, or as something new. 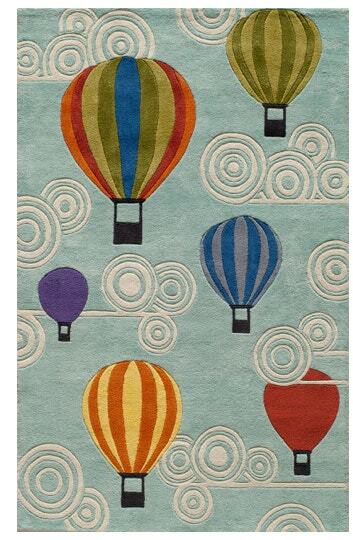 Take a look at novelty area rug patterns from brands such as Mohawk and Nourison. The oriental design refers to an emphasis on intricate and ornate elements with influences from the Middle East, some of which include paisley. 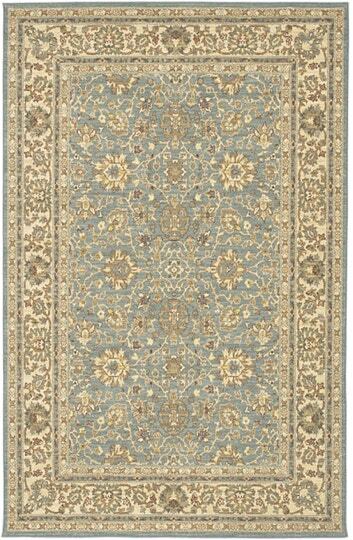 Take a look at oriental area rug patterns from brands such as Nourison and Oriental Weavers. The ornamental design refers to an embellishment of detail added to an object or architectural structure to appear more beautiful. 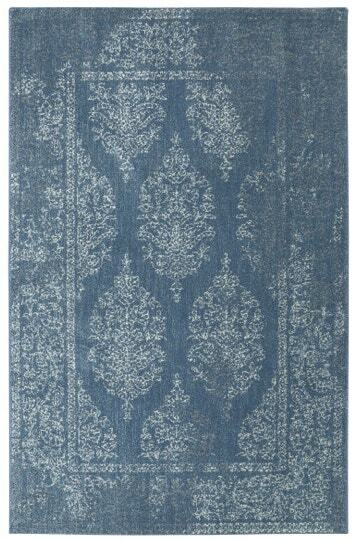 Take a look at ornamental area rug patterns from brands such as Karastan, Mohawk, and Nourison. The paisley design refers to an ornamental design with the buta/boteh shape, a teardrop-shaped motif with a curved upper end. 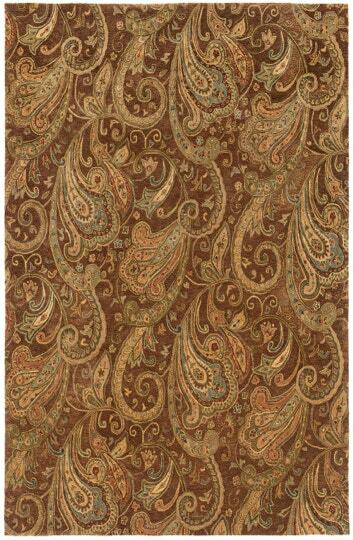 Take a look at paisley area rug patterns from brands such as Mohawk and Nourison. The patchwork design refers to needlework that sews together pieces of fabric into a larger design based on repeating patterns with different shapes. 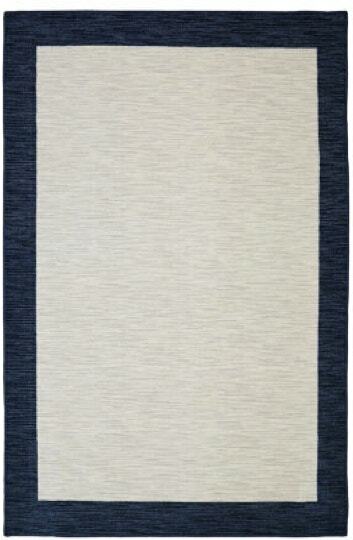 Take a look at abstract area rug patterns from brands such as Mohawk. The patterned design refers to a collection of lines and shapes that connect together, forming a repeated visual layout. 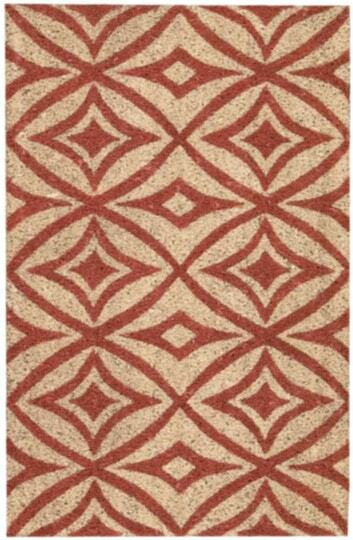 Take a look at patterned area rug patterns from brands such as Dalyn. The Persian design refers to rugs that represent different, simultaneous lines of tradition that reflect the history of Iran and its peoples. 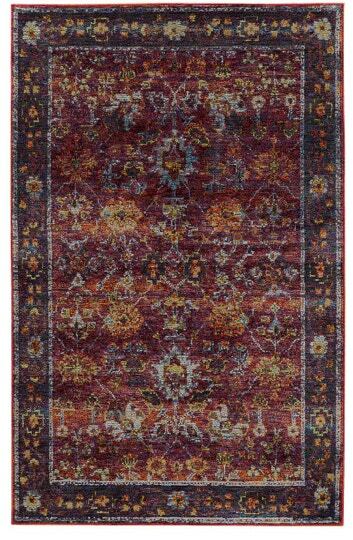 Take a look at Persian area rug patterns from brands such as Nourison. The plaid design refers to the tartan (criss-crossed horizontal and vertical bands) or checkered (stripes with crossed horizontal and vertical lines forming squares) pattern. 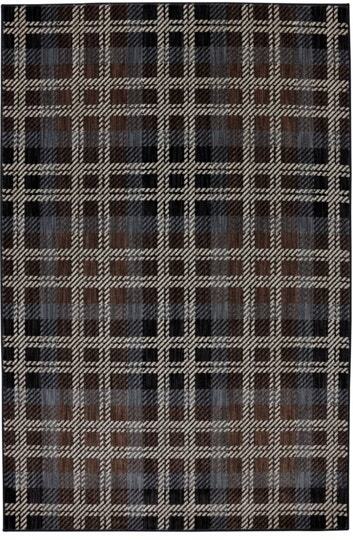 Take a look at plaid area rug patterns from brands such as Nourison. The scrollwork design refers to featuring spirals and rolling incomplete circle motifs, some of which resemble the edge-on view of a book or a scroll. 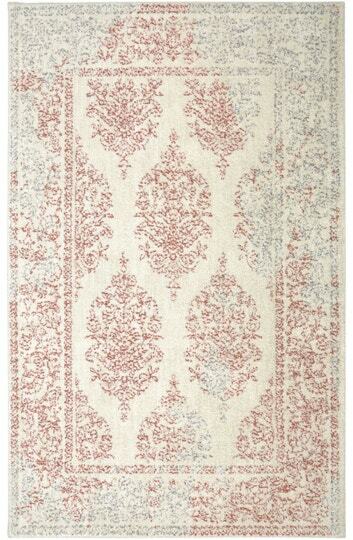 Take a look at scrollwork area rug patterns from brands such as Nourison. The shag design refers to a shaggy, uneven pile that is an inch or more made with materials like wool, cotton, and leather. 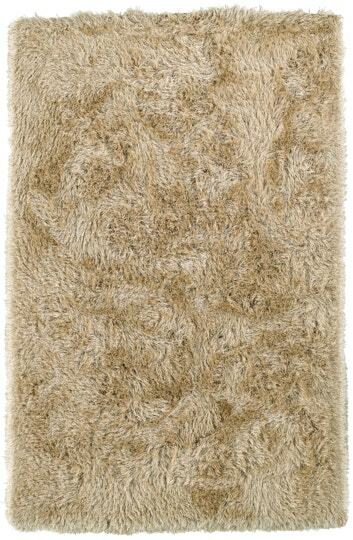 Take a look at shag area rug patterns from brands such as Dalyn, Nourison, and Oriental Weavers. The solid design refers to the aesthetic of maintaining the same color gradient throughout the pattern on the rug surface. Take a look at solid area rug patterns from brands such as Dalyn and Mohawk. The southwestern design refers to earth-tone colors, rough textures, crafted objects, brightly colored woven fabrics, and terra cotta. 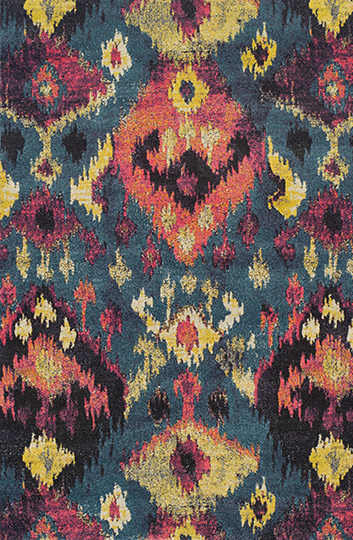 Take a look at southwest area rug patterns from brands such as Mohawk and United Weavers. The sports design refers to colors and themes that highlight the professional or collegiate sports teams for fans of all ages. 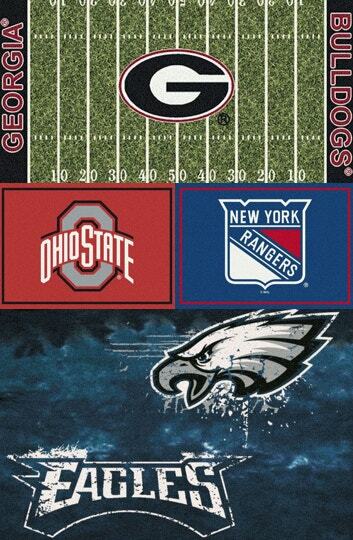 Take a look at sports area rug patterns from brands such as Milliken. The striped design refers to a surface that contains lines of different colors or tones from an adjacent area, forming a group of lines that display the pattern. 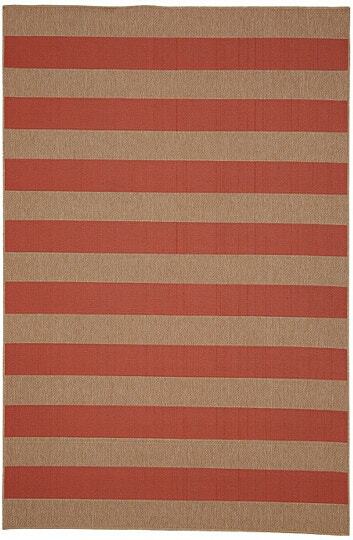 Take a look at stripe area rug patterns from brands such as Karastan and Mohawk. The tribal design refers to geometric motifs as opposed to the curvilinear and floral motifs that are hand knotted by the nomadic tribes in different countries. 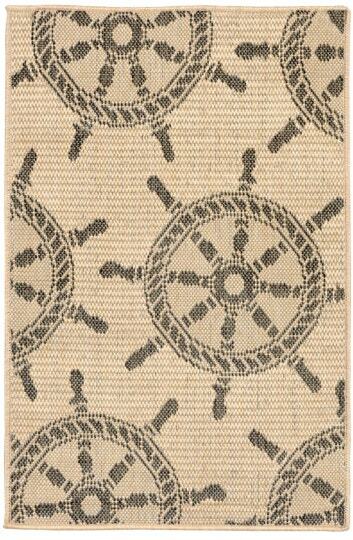 Take a look at tribal area rug patterns from brands such as Mohawk. The pattern you choose for your area rug will have as much, if not more, impact on your design as the color and shape. 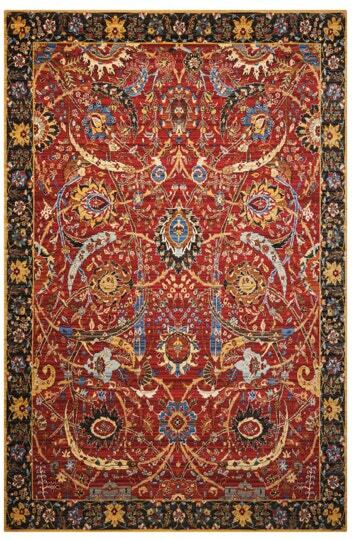 If you’re looking for a more traditional, ornamental style, you can shop Border rugs or Medallion rugs. If you want a bold pattern with a modern flair, some hot trending looks include Animal Print, Chevron Rugs, or a Geometric design. We also offer a variety of rugs that are designed specifically for childrens’ rooms, as well as outdoor rugs with natural imagery and floral prints. 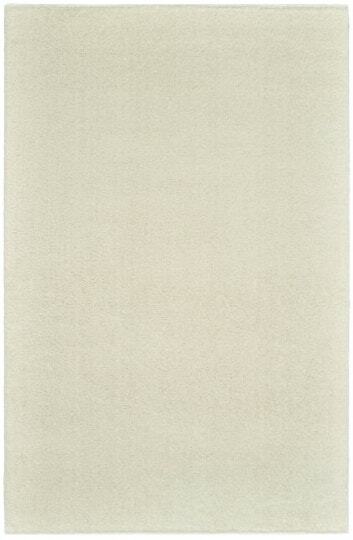 No matter the feel you’re trying to achieve in your space, we have an area rug for your needs. Our rugs come in every shape, color and style, and you can narrow your choices down using our robust "Shop By" filter system.